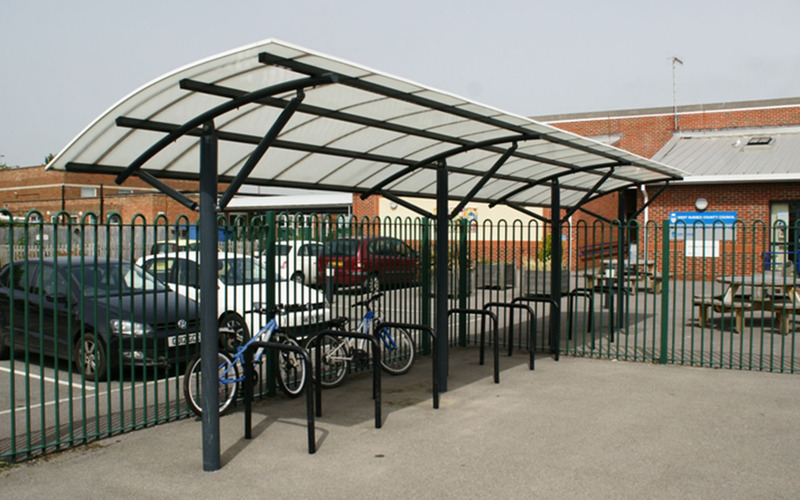 Why should you provide a cycle bike shelter on your premises? Society has shifted to promoting health, well-being and environmentally friendly methods of travel, bike to work, school and university schemes are seeing ever increasing popularity. The Cycle-to-Work scheme, where employers offer discounted cycle purchase to staff, has been in place for nearly 20 years, yet still a great number of businesses do not offer suitable, secure storage for their employees and visitors. 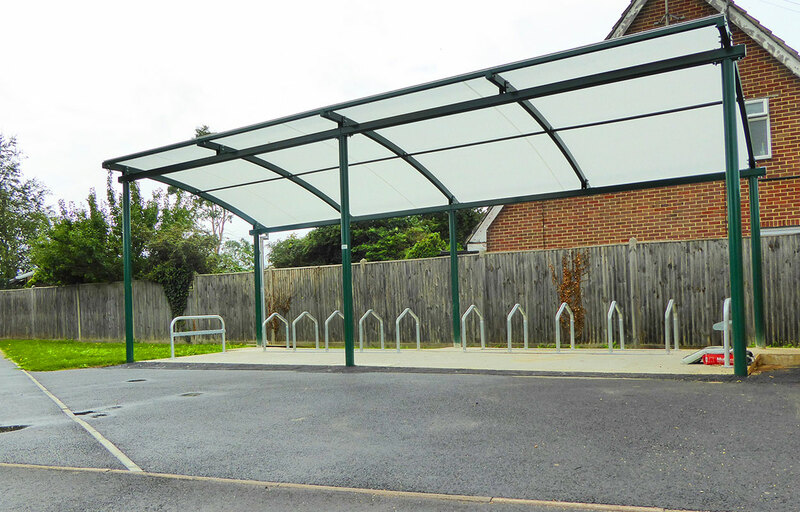 The addition of a Fordingbridge Cycle Shelter confirms your practice as not only a considerate employer, but also your commitment to sustainability. 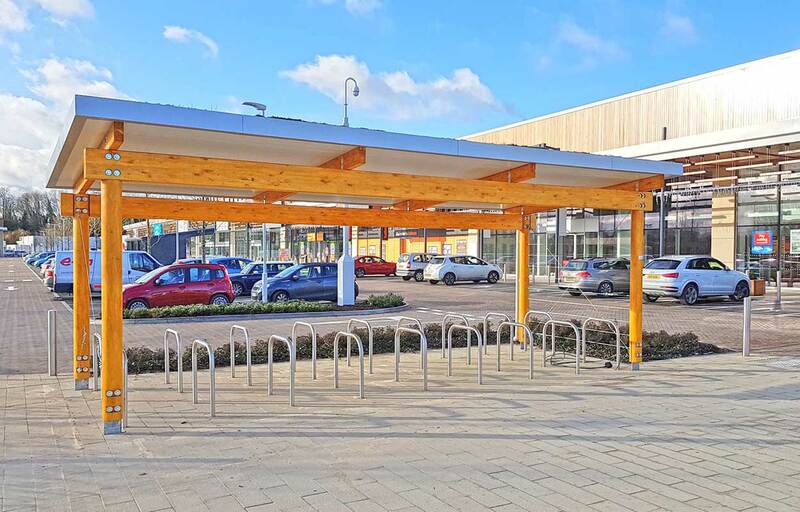 For this reason, providing covered bike shelter facilities for bike storage and weather protection is vital in helping those who wish to use this sustainable mode of transport. 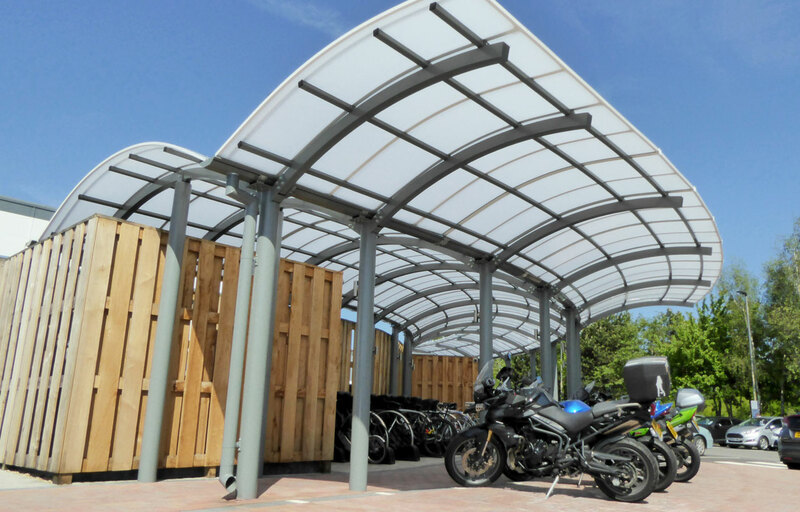 The size of your business, premises and budget will determine the bike shelter facility you can offer to your users. 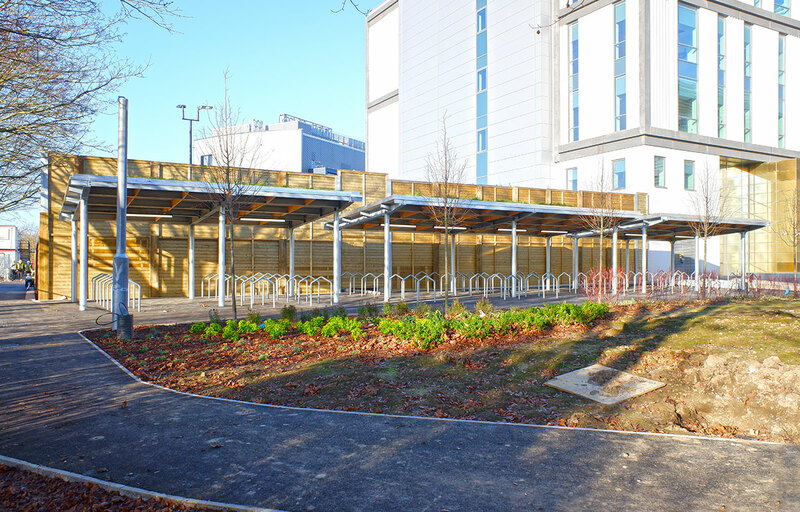 For example, the Wellington Primary School Cycle Shelter offers secure shelter on a smaller scale in comparison to the University of West of England‘s magnificent bike shelter. 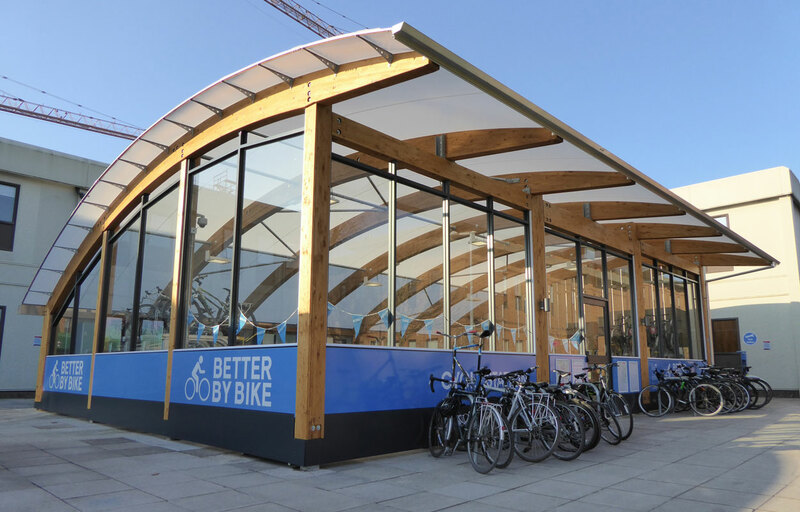 Our emphasis is to design secure, cost-effective and stylish cycle shelters which are in-keeping with your environment and customised to your branding colours. 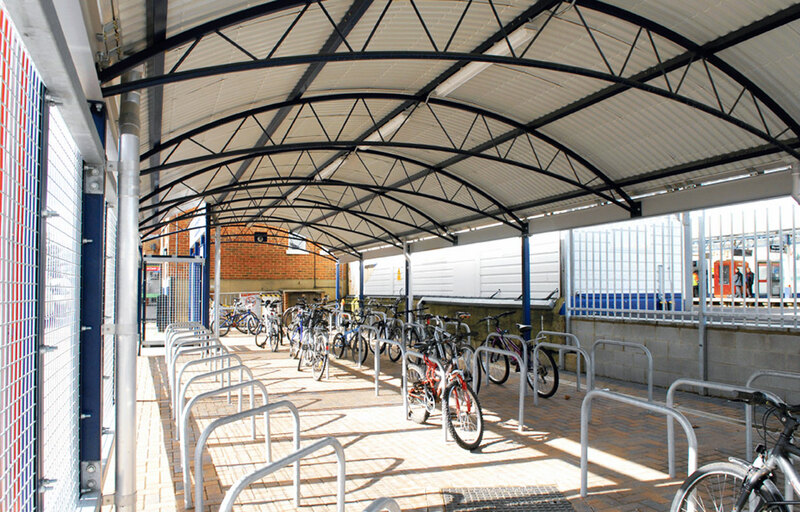 We offer standard bike shelters or bespoke bike shelter solutions combining both the aesthetic and function of design. There is the option to include bike racks as demonstrated in University of West of England’s bike shelter. Since the Governments Cycle to Work initiative being introduced in 1999 which was designed to promote healthier lifestyles and reduce pollution there has been more and more employees commuting to work on a bike. Support your employees by providing covered bike shelters which are secure and keep their bikes and equipment dry whilst they are at work. Encourage students and staff to cycle to school, college or uni. Not only will this help ease traffic congestion, leading an active lifestyle is known to help learning. Providing secure cycle shelters will keep bikes safe and dry. 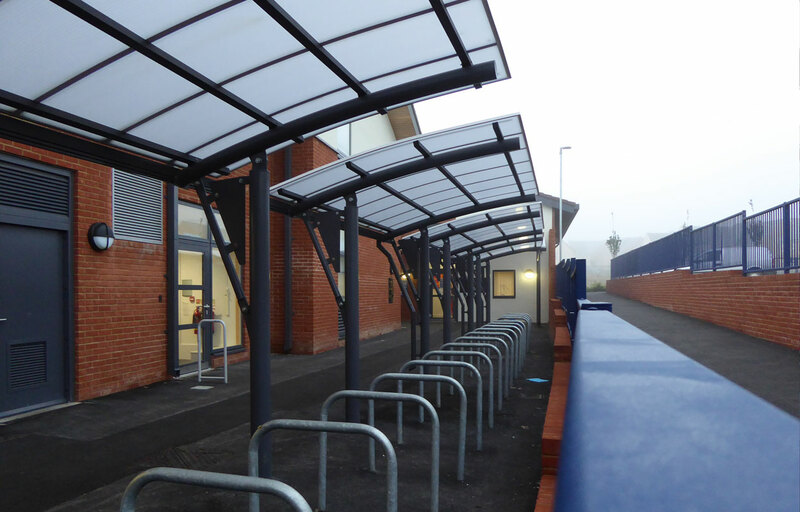 View our education sector page for more information about the educational canopy, walkways, buildings and bike shelter solutions that Fordingbridge offer. For peace of mind, all our cycle bike shelter structures are guaranteed for 25 years. All our steel works are fabricated on our factory site and are CE marked. This attests the verification by the Construction Products Regulation that these products meet EU safety, health and environmental requirements. We will call you back between the hours of 9am-5pm Monday-Friday.